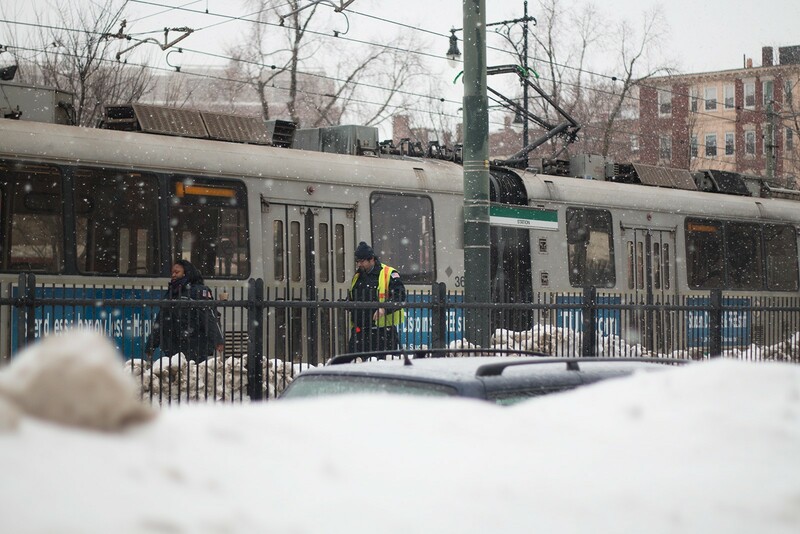 To better communicate the resources for the Massachusetts Bay Transportation Authority with the public, the MBTA announced Tuesday the launch of its Winter Happens awareness campaign for the coming snowy season. Advertisements in T stations as well as billboards will support the campaign, according to a Tuesday press release, and information will also be available online. Stacy Thompson, deputy director of the transportation interest group LivableStreets Alliance, explained the drastic effects of last winter that make these new efforts necessary. The campaign is part of the $83.7 million Winter Resiliency Plan, which was created by Massachusetts Gov. Charlie Baker, Massachusetts Secretary of Transportation Stephanie Pollack and MBTA General Manager Frank DePaola. As part of preparation for winter, Baker gave updates about the plan and said at a Wednesday press conference at the T’s Emergency Training Center in South Boston that the MBTA has acquired snow-clearing equipment. The MBTA now owns two engine-powered snow blowers and two Swingmasters to throw snow, according to the release. Baker explained in a June press release that the importance of the Winter Resiliency Plan is for Boston to be prepared once winter strikes. Several residents said that while last winter was difficult, they look forward to better transportation this season. Pasha Noorian, 27, of downtown, said last winter was his first winter in Boston. Morgan Whitney, 20, of Mission Hill, said the lack of snow removal made it hard to navigate the city.